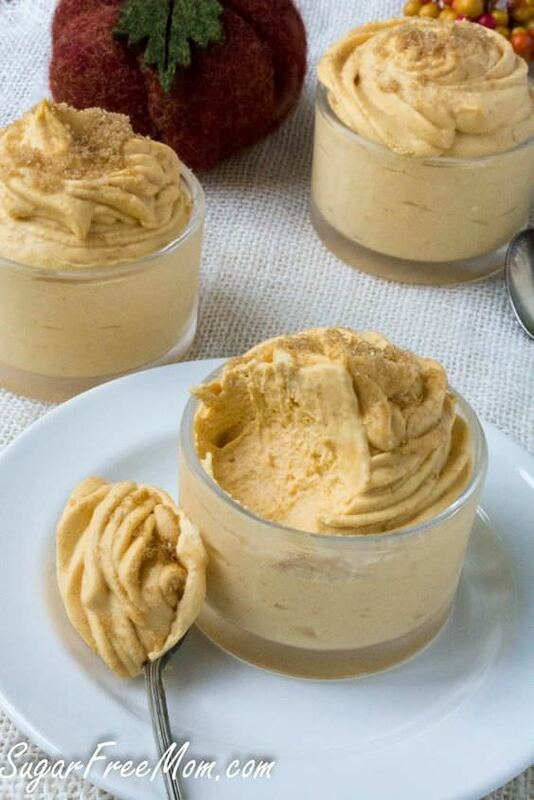 Low Carb Pumpkin Cheesecake Mousse is a pumpkin and low carb lovers dream. Pumpkin season has arrived. Creamy pumpkin cheesecake flavor but with a light and fluffy texture that is irresistible. It doesn’t hurt that this fabulous dessert is also low in carbs either does it? This recipe only requires 5 ingredients and is packed with deliciousness. It really is so quick and easy to make for a light dessert anytime. And who doesn’t love a no bake type recipe right? You don’t have to use a piping tool to make the mousse swirl in the glass, but it makes it oh so much prettier. Visit Sugar-Free Mom to read the full post.